April | 2009 | Through the seasons before us.. Season ticket prices to be revealed on Sunday.. Unusually Forest are actually getting their finger out and letting us know about season ticket prices before the end of the current season. Just. With Sunday’s game with Southampton sold out – giving Forest fans a rare opportunity to enjoy a game with nothing at all at stake – Forest have seized the opportunity to achieve a fairly transparent drive for Programme sales. For it is in the programme that you will find this information, along with other apparently exciting nuggets of information. Of course, the fact I tend to sit with a regular programme purchaser might just mean I could end up accidentally posting the prices on Twitter on Sunday. Assuming the City Ground Twitter gremlins aren’t out in force like they have been in recent games! You might detect a tone of cynicism in my words, but one of my perpetual bugbears with Forest is their renewal procedure. Other clubs offer incentives for early renewal, they release their prices in good time and many have been selling season tickets already for next season for some weeks now. That includes clubs who are uncertain of their fate in terms of relegation or promotion. However, I shouldn’t be grumpy should I? Changes are afoot at the priority area of the club – Billy Davies has been talking about more tailored training solutions, better dietary practice as well as seeking players to strengthen his squad. For all my reservations about his self-publicising side, he is certainly making the right noises at the moment, which makes me look forward to next season with interest – assuming I can afford to renew my season ticket, of course! A right Royal result! Forest are safe! Sammy: "I'm so glad to be playing for a big club.."
I was going to go for my usual policy of deliberately ignoring the match this evening. At Carrow Road this evening Reading visited Norwich City, Reading with a chance of snagging an automatic promotion spot, the Canaries desperately seeking to avoid relegation into League One. A defeat for them would see Forest safe, and leaving only Barnsley and Norwich as teams able to fill the last place in the bottom three. Barnsley face Plymouth at the weekend, whilst Norwich have a trip to Charlton. If Plymouth can win (also made safe this evening) then a win for Norwich will send Barnsley down. Anything but a win for the Canaries isn’t enough for survival – a draw for the Tykes is enough to ensure their survival, so the odds have to be firmly stacked against the men from Norfolk. Having flirted with relegation for most of the season, it’s simply a massive sense of relief I post these words in – although it’s hard not to have a wry smile at the prospect of Sammy ‘I want to play for a big club’ Clingan facing relegation in exchange for his bigger pay packet. By all accounts he’s had a decent season with Norwich so maybe he’ll get a move – or maybe he’ll stick with them for another season in League One. So a huge thank you to Reading FC, but of course also a huge well done to Billy and the boys – and the fans – who’ve all played their part in making sure we picked up the results we have needed to keep our end of the bargain. It’s been, frankly, a stressful and uninspiring season – here’s to a full summer of preparation for Billy and then onwards and upwards! Commiserations to Norwich, too. I always enjoy trips to Carrow Road – so perhaps Plymouth can return the favour you paid to them (and us) this evening and get a win against Barnsley for you. Certainly despite the longer drive, a trip to Norwich is more palatable than a trip to Oakwell for a rousing rendition of the Hovis music and chants of ‘Scabs!’. So for that reason, and because it will be difficult to muster too much of a worry on Sunday from our own point of view, I’ll be rooting for Plymouth and Norwich to get wins. Come on you Pilgrims and Canaries! Safety not assured as relegation rivals all draw! Dexter put Forest in the lead, but it was a lead they couldn't hold..
And so it goes to the last day, maybe. Because Norwich City have yet to play their penultimate game, they face Reading on Monday night infront of Sky cameras. Basically, whatever the do in this game is what we must do in our remaining game against Southampton in order to guarantee safety. Of course, the Canaries will have to play their final game too. We drew, Barnsley drew, Plymouth drew, Southampton drew – consigning them to a bottom three finish, a relegation and a start in League One on minus ten points. That means they come to the City Ground next Sunday very much in ‘playing for pride’ mode. The fact that Derby managed to scrape a win against Charlton means any of you still harbouring hopes we’d sneak above them will have to wait ’til next season too. So, on a pitch that did a more convincing job as an extension of Blackpool’s beach, Forest lined up with Smith, Chambers, Breckin, Morgan, Lynch, Perch, Gunter, Cohen, Osbourne, Blackstock and Garner. On the bench were McCleary, McGugan, Earnshaw, Thornhill and Redmond. It was the visitors who started strongest, a cross cleared unconvincingly and falling to Vaughan, who was charged down and blocked by Gunter before getting a shot away. Another attempt from Crainey required an intervention from Wes Morgan and it was looking set to be a long game for Forest to try to work their way into. And then the tides turned quite rapidly, Forest profiting from their first foray forward – Garner found Lynch, Lynch whipped in a cross, Dexter did well to get infront of his defender to meet the ball with an outstretched foot and divert it into the roof of the net to give the Reds the lead after less than ten minutes. We must pull out the stops to sign Blackstock next season. Forest, tails up, continued to attack. Garner did well to beat former Stags defender Alex Baptiste putting Osbourne through – however his shot ended up wide, looking likely to have deflected off target on the shocking surface of the pitch. Former Reds loanee Brett Ormerod equalised for the home side, he was found by Vaughan on the edge of the area, turning and shooting inside the post to level the match. The remainder of the half didn’t produce a great deal of champagne football from either side, and it seemed that both sides were playing out ’til half time keen to avoid errors. After half time McCleary replaced Breckin, prompting a reshuffle moving Chambers across into the centre of defence, and Gunter to right back. Forest immediately went on the attack, culminating with a dangerous cross from Osbourne finding Blackstock seeking to add to his tally, but his effort was put out for a corner. Cohen had a snapshot after being setup by Blackstock, Rachubka was equal to gethering it though, however, it looked like things might improve when Garner appeared to get through on goal – only to be pulled back by Evatt, this saw Evatt red carded, and the resulting freekick by Cohen bringing a decent save by Rachubka, giving the Reds a corner. The corner was taken quickly, and Chambers almost did everything right – but his header was just over. Billy immediately bolstered our attack by withdrawing Osbourne for Earnshaw to try to capitalise on our superior numbers, with Blackpool withdrawing into a very defensive position. Forest applied pressure but couldn’t get a clear opportunity to score. Blackpool weren’t adverse to attacking themselves either, a freekick conceded by Garner was hit goalward by Crainey – producing a great save by Smith. Forest resumed their pressure, Perch met a cross but couldn’t beat Rachubka with a header, Earnie turned and struck a ball from McCleary but could only hit the side netting. Earnie and Perch again were at the centre of a chance, colliding and the resulting header ending up off target. The final chance fell to late substitute McGugan, who tricked his way towards goal before unleashing a damp squib of a shot straight at the Blackpool ‘keeper. That was pretty much the last action of the game. So Forest miss out the chance to secure safety this weekend, with other relegation rivals not picking up wins a win today would’ve been enough. Should Reading do us a huge favour and beat Norwich on Monday evening, then we will be safe. Should Norwich get a draw or a win then we will need to match that result against Southampton on Sunday. 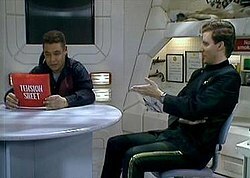 Of course, there are then intricacies involving Barnsley and Plymouth – but it hurts my brain trying to think of it all! So it could be a crucial point, or it could be a prelude to what promises to be a very tense weekend. Either way, if we win against Southampton we will stay up. So our fate is very much in our own hands. Step one to survival taken, two and three to go! Most definitely a game of two halves, albeit one which I think Forest earned their three points. A crossbar struck in the first half, a goal in the second half, a decent save by their ‘keeper too. I don’t think Paul Smith had much at all of note to be doing at our end of the pitch. With Southampton losing and Barnsley drawing, this was a cracking three points. Forest lined up with Smith in goal, Chambers and Wes at centreback, Perch at left back and Gunter at right back. Cohen, Osbourne, McGugan and Anderson should’ve made up midfield, but Garner appeared to be playing out on the left wing, leaving Blackstock somewhat a lone striker in the first half. The game started with Coventry pressing us, but not really creating a great deal – indeed, the first twenty minutes were eminently forgettable – this landmark was greeted by the extreme excitement of Clinton Morrison shotting pretty much straight at Paul Smith who gathered without any drama. Forest’s first decent chance followed, a corner whipped in by Lewis McGugan was well met by the head of Luke Chambers, only to return back into play courtesy of the crossbar. It fell for Osbourne, albeit not exactly kindly, and the midfielder was only able to direct the ball out for a goal kick to Coventry. A freekick from the edge of the box had us worrying over the possibility of an Eastwood strike, fortunately Fox opted to spanner it into the Trent End much to our relief and amusement, the visitors then spurned their best chance of the game – good work by Morrison found Eastwood and a teammate unattended at the back post, but the former Southend man put it wide. The half ended with another Fox freekick into the wall this time, and really left us feeling rather frustrated. The popular verdict was that it had been ‘crap’ and that there hadn’t really been the sense of urgency our league situation demands. From listening to Perchy’s interview post-match it would seem Billy’s half time team talk was along the same lines! The second half saw Anderson – apparently suffering with an ankle injury – replaced with McCleary. Garath was immediately involved down the right hand side taking on his man, and indeed, it wasn’t long before we’d scored – McGugan sent a ball across from the right to Blackstock, who held the ball superbly before releasing it to the onrushing Perch who slotted the ball calmly into the bottom corner of the net. This seemed to settle Forest, and whilst the second half wasn’t exactly a rip-roaring encounter, it seemed more comfortable. The only other chance of note crafted by either side was created and taken by Cohen, who won the ball in the middle and unleashed a shot which looked like it took a deflection before requiring an impressive save by Westwood. The only other chance of note was a goalmouth scramble from a Cohen corner – Garner backheeled to Osbourne whose shot struck Blackstock to go wide for a goalkick. Then came ‘the scary substitution’ – McGugan off, Perch into Midfield, Gunter to left back, Chambers to right back, Breckin on as centre back. Too many chances, Billy – it scared us! Fortunately Coventry really weren’t all that interested in contesting this game properly so it didn’t backfire, but with a good 5-10 minutes left we were blatantly attempting to keep the ball in the corners, bringing everyone back. I know we need the win at all costs, but it’s not good for my nerves! With Barnsley picking up only a point, and Southampton losing, things bode well today elsewhere for us too. Tomorrow is the ‘old farm’ derby between Ipswich and Norwich, where we will of course be rooting for the blues to put a dent in their rivals’ survival hopes. We could also use today’s opponents Coventry doing us a favour by beating Barnsley on Tuesday. Preparing for a tense weekend.. So, back to the present day. Coventry – a side with pretty much nothing to play for, safe from the drop, no chance of the playoffs. Suffering from injuries too, with Coleman choosing to field youngsters in their last game against Charlton. 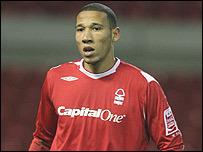 Even the inevitable goal for past Forest target and Nottingham lad Leon Best is unlikely as he’s currently injured. Anyone else suspicious that all bodes peculiarly well? They’ve only scored one in their last four games. They couldn’t beat Charlton. They got absolutely annihilated 4-0 by Plymouth in the game before that. Something tells me things aren’t going to prove that easy for us! Of course, as well as our game we must be mindful of what’s going on elsewhere too – Barnsley have a tricky trip to Reading to deal with, and hopefully Brian Laws will be looking to do us a favour with Southampton visiting them. And then on Sunday all eyes will be on the ‘old farm derby’ between Norwich and Ipswich. Norwich are of course down in the scrap with us, Ipswich playing for nothing but pride, and hopefully the irritation of their rivals. A tense weekend is in store for us, followed by another one, and then another one! How a drab end of season with nothing to play for appeals right now, pre-match drinks aplenty are in order, I am thinking! I’m going to start this piece deeply inappropriately. I, like many Forest fans, bloody hate Liverpool. If I am honest, the annual discussions that crop up about the Hillsborough disaster each anniversary on Forest forums leave me somewhat cold and uncomfortable, partly due to my own ignorance, and because of the over-eagerness to apportion blame rather than just reflect on what a bloody tragedy it was. As a mere young ‘un I wasn’t present at the semi-final in 1989, and frankly I am rather thankful for that – I know more than one fellow Forest fan who was there and still feels unable to talk about that fateful day. I also don’t profess to have any real knowledge – nor real opinion – as to the validity of the findings of the Taylor Report. Whilst I’m no fan of all-seater stadia, his recommendations ensured such an incident shouldn’t occur in this country again. So whilst ‘the blame game’ leaves me unmoved, I do – however – find it incredibly upsetting to think of the fate of those ninety six people who should never have departed this world on that day, and of their families whose must still mourn that awful loss. So irrespective of my ‘day job’ dislike of Liverpool, I’ll be taking a few moments over the course of today to think about those that were lost. Liverpool legend Bill Shankly once said in a rather tongue-in-cheek fashion that football was much more important than life and death, of course he didn’t really mean it despite the plentiful re-quoting of the saying. Along with other tragic events – such as recent events in Ivory Coast, or contemporary ones like the fire at Bradford, they should transcend our parochial rivalries or hatred, and we should all pause for a moment to pay our respects. Ten man Reds scrap for a precious point.. Despite Kelvins foolishness, Forest hold on for a point..
We’re back in the bottom three, thanks to Norwich beating Watford – however, hands up who thought we’d pick up four points against Bristol City and Sheffield United over Easter? I didn’t. So perversely I’m actually pretty happy with things – which still leaves us with plenty to do over our remaining three games, but certainly not down and out despite the drop to 22nd. Davies had big changes enforced on him, Calamity Turner broke his toe at the weekend so was replaced by Paul Smith, Lynch was missing for reasons unreported – and was replaced by Wilson, his place in the middle taken by Breckin. Chambers came in at right back, pushing Gunter forward to the right wing. Osbourne and Perch were in the middle, with Cohen on the left. Blackstock and Garner were up front, with Earnshaw out with an injured knee. Initial prognosis not good – lots of changes are a source of worry, and the side looked like it had a defensive shape to it. And it wasn’t to get much better – after just fifteen minutes there was a confrontation between Wilson and Halford, which left the Blades man writhing on the floor in supposed agony, earning the Forest defender a red card. The incident apparently wasn’t caught on camera – it’s likely to be the last we see of Wilson this season as I can’t imagine Forest will appeal the red card. Forest had the flexibility to shuffle the deck to line up in a four-four-one formation with Gunter stepping back into defence, and Garner playing on the right wing with Dexter up front on his own. Understandably Forest’s chances were pretty limited – one effort of note coming from Gunter whose medium range shot wasn’t difficult for Kenny to deal with. The Reds did a good job at frustrating the hosts, limiting their opportunities whilst not creating masses going forward – although a rather splendid Cohen cross did give us a corner. Paul Smith – restored to goal following Turner’s injury – pulled a point blank save out the bag near the end of the half, although Forest did have time to break, with Blackstock bringing a routine save from Kenny and then Cohen received a booking for taking too long over a corner from a very home-biased referee. The second half began with Forest putting in a series of challenges, and another cheap booking for Wes Morgan from the increasingly irritating referee. Davies shuffled the deck quite early, withdrawing Blackstock for Anderson. Smith was on hand to deal well with a ball into the box (surely not?!) before Henderson was able to get the ball towards goal. On a rare foray forward Gunter did well to get into the box, the ball eventually falling quite kindly for Garner who unfortunately was only able to shoot over. This was to be his last action as he was withdrawn for McCleary, and shortly after wasting further time by withdrawing Cohen for McGugan – barely concealing the time it took for them to make the change. Halford had an effort from range, straight at Smith. Sheffield United’s many corners were also well dealt with by the Forest ‘keeper. With five minutes of stoppage time it was always going to be tense, with Forest shrinking back to absorb pressure. Osbourne was able to deflect a Hendrie effort over, Lewis did well to win a freekick at the other end but then wasted the freekick itself, shooting over. Probably the Blades’ best chance fell to Beattie at the death – but from the edge of the area the striker shot over. Before the end there was more work for Smith to do in making a save in the sixth minute of stoppage time – but Forest held firm for the point leading to celebrations from fans and Billy Davies alike. Dropping back into the bottom three is never a good thing, but this is a great point – well done Reds. I am disappointed with Wilson, whilst I suspect his ‘crime’ was reacted to in theatrical style by Halford, he shouldn’t have even feigned to headbutt an opponent. Norwich’s 2-0 victory over Watford is a bit of a fly in the ointment, and Southampton’s win over Palace keeps some pressure from beneath also. However, hopefully we are in confident shape to move forward – Billy Davies’ decision to not risk any injury doubts is looking a very wise move having snagged a point that, if we are being honest, the pessimists amongst us weren’t expecting even without the handicap of playing more than 75 minutes with only ten men. This could be an important point one, so well done lads, and well done Billy.